Three times further away from the sun than the Earth lies an enormous lump of metal. Around 252km in diameter, the metallic 'M-class' asteroid 16 Psyche is the target of NASA's next mission to the belt of giant rocks that encircles the inner solar system. And the space agency now plans to visit it much sooner than originally planned. Not only has the launch has been brought forward one year to the summer of 2022, but NASA's scientists have also found a way to get to Psyche (pronounced SYKe-ee) much faster by taking a more efficient trajectory. The new route means the Psyche spacecraft won't have to swing around the Earth to build up speed and won't pass as close to the sun, so it needs less heat protection. It is now due to arrive in 2026, four years earlier than the original timeline. The main aim of the journey to Psyshe is to gather more information about our own solar system. Psyche is one of many wandering members of the asteroid belt. Unlike the rest of its rocky neighbours, Psyche appears to be entirely made of nickel and iron, just like the Earth's core. 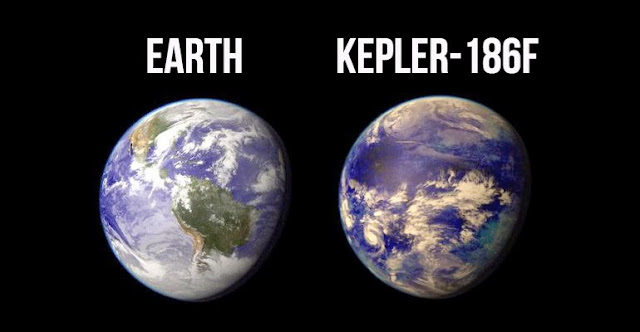 This, together with its size, has led to the theory that it might be the remains of the inside of a planet. Asteroids are made up of primitive materials, leftovers from the dust cloud from which our solar system originated. Different types of asteroids resemble the various steps it took to form planets from this dust cloud. This means they reveal a lot about the origin and evolution of our solar system. Scientists think Psyche could be what's left of an exposed metal core of a planet very similar to Earth. We actually derive much of our knowledge about asteroids and the evolution of planets from the study of meteorites. Many asteroids and comets are primitive protoplanetary bodies accumulated from the same dust cloud our solar system originates from. As these protoplanetary bodies collide, gravity pulls them together into ever-larger bodies. Eventually these bodies become big and hot enough to partially melt, allowing heavy materials such as iron to sink to the core – and lighter material such as silicon to rise to the surface. This process, known as differentiation, explains why Earth and other planets such as Mercury, Venus or Mars have an iron core and silicon-rich mantle and crust. The 16 Psyche asteroid is thought to be the leftover iron core of a planet stripped of its mantle in a giant collision. But many questions regarding the formation of Psyche remain. How do you strip a planet of its mantle only leaving the core? Perhaps there is an alternative formation mechanism of an iron-rich body that does not involve differentiation? Psyche may once have been molten and, if so, did it cool from the inside out or from its surface to the core? Also, Earth's magnetic field comes from a liquid outer core circling around a solid inner core. 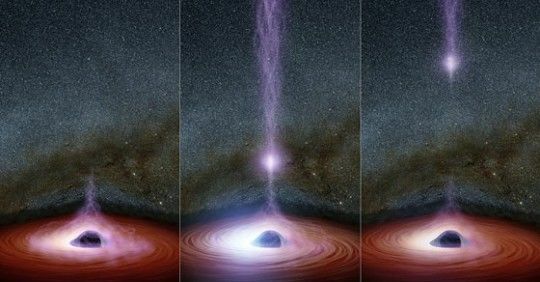 Did these processes occur on Psyche and create a magnetic field? What elements other than iron accumulate in a core? And how does the surface geology of an iron body look compared to a rocky or icy body? There are other reasons for visiting asteroids. For one thing, possible collisions with Earth can have devastating effects. The impact of an 15km-wide asteroid approximately 65m years ago is linked to the extinction of the dinosaurs. And the explosion of the 30m-diameter Chelyabinsk asteroid over Russia in 2013 led to injuries and damage on the ground. We need to know as much as possible about the composition and physical make-up of asteroids to devise the best ways to defend our planet. Asteroids also provide resources. Those containing water or other valuable materials may act as stepping stones for human exploration of the solar system. And asteroids crossing Earth's orbit may become convenient targets for mining operations, providing materials that are running out on Earth and potentially taking environmentally detrimental extraction methods off Earth. Companies including Planetary Resources and countries like Luxembourg have already started to pursue these ideas in earnest. The Psyche spacecraft will carry four instruments to gather as much information about the asteroid as it can: a camera, a gamma-ray spectrometer to record what chemical elements are there, a magnetometer, and a radio gravity experiment. The data these devices collect should help us work out if Psyche is the frozen core of a former planet or simply a lump of unmelted metal. If it is a core, then it might help us determine exactly what's at the centre of our own planet. Lindy Elkins-Tanton, the lead scientist of the mission, probably summarised it best: 'We learn about inner space by visiting outer space'. Christian Schroeder, Senior Lecturer in Environmental Science and Planetary Exploration, University of Stirling. This article was originally published on The Conversation. Read the original article. It may be 230 million miles (370 million km) away from Earth, but this asteroid could be worth a fortune. 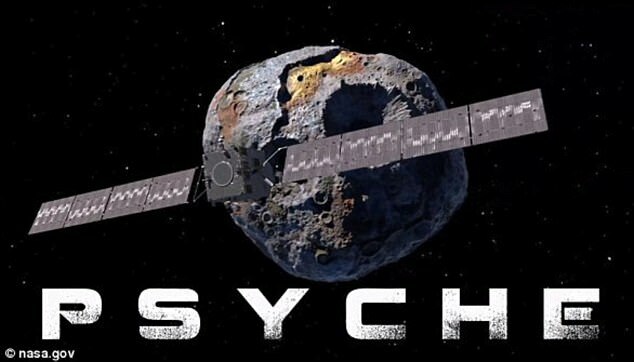 16 Psyche is one of the most mysterious objects in our solar system, and scientists could soon be getting a close-up view thanks to a NASA mission. The space agency today revealed its plan to launch the mission to visit the asteroid a year earlier than planned, in 2022, and arrive four years earlier than planned in 2026. If the asteroid could be transported back to Earth, the iron alone would be worth $10,000 quadrillion (£8,072 quadrillion). It's value would be large enough to destroy commodity prices and cause the world's economy - worth $73.7 trillion (£59.5 trillion) – to collapse. 16 Psyche is located in the large asteroid belt between Mars and Jupiter, and may have started as a planet, before it was partially destroyed during the formation of the solar system. Now, it is a 130 mile (200km) wide chunk of metal, made up of iron, nickel and a number of other rare metals, including gold, platinum and copper. 'The biggest advantage is the excellent trajectory, which gets us there about twice as fast and is more cost effective,' said Principal Investigator Lindy Elkins-Tanton of Arizona State University in Tempe. 'We are all extremely excited that NASA was able to accommodate this earlier launch date. The revised trajectory is more efficient, as it eliminates the need for an Earth gravity assist, which ultimately shortens the cruise time. In addition, the new trajectory stays farther from the sun, reducing the amount of heat protection needed for the spacecraft. The trajectory will still include a Mars gravity assist in 2023. Much like a sports car, by combining a relatively small spacecraft body with a very high-power solar array design, the Psyche spacecraft will speed to its destination at a faster pace than is typical for a larger spacecraft. The scientific goals of the Psyche mission are to understand the building blocks of planet formation and explore firsthand a wholly new and unexplored type of world. The mission team seeks to determine whether Psyche is the core of an early planet, how old it is, whether it formed in similar ways to Earth's core, and what its surface is like. The spacecraft's instrument payload will include magnetometers, multispectral imagers, and a gamma ray and neutron spectrometer. Lindy Elkins-Tanton the lead scientist on the Nasa mission and the director of Arizona State University's School of Earth and Space Exploration, said: '16 Psyche is the only known object of its kind in the solar system, and this is the only way humans will ever visit a core. Dr Elkins-Tanton has calculated that the iron in 16 Psyche alone, would be worth $10,000 quadrillion (£8,072 quadrillion). Assuming the market for asteroid materials is on Earth, this could cause the value of precious metals to plummet, completely devaluing all holdings including those of Governments, and all companies involved in mining, distributing and trading such commodities. Ultimately, it could lead to the collapse of the entire economy. Speaking to Global News Canada, Dr Elkins-Tanton said: 'Even if we could grab a big metal piece and drag it back here, what would you do? 'Could you kind of sit on it and hide it and control the global resource - kind of like diamonds are controlled corporately - and protect your market? What if you decided you were going to bring it back? NASA does not plan to bring the asteroid back to Earth, but instead, the space agency will explore the asteroid in the hope of understanding how planets separated into layers in their early histories. The mission is targeted to launch in October 2023, arriving at the asteroid in 2030, following a Mars flyby in 2025. Dr Elkins-Tanton said: 'Short of it being the Death Star, one other possibility is that its material formed very near the (sun) early in the solar system.' Dr Elkins-Tanton believes that this extreme heat would have melted the iron, and the asteroid could have stayed in that primordial state until now. She added: 'I figure we're either going to go see something that's really improbable and unique, or something that is completely astonishing.' In December, researchers also put forward the suggestion that Psyche could contain water, which could make it a 'resource stopover' as humans try to colonise Mars.